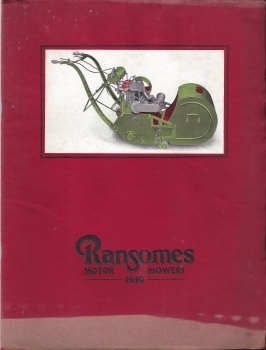 This 1930's Full Colour Broschure shows Ransomes full range at the time. Varying from small 14" machines starting at £30-0s-0d going up to £325 for their 46" Motor Mower and Roller. Wonderful history behind the lawnmower. Original book not available, only high quality digital copies available.